For advanced economies, innovation requires pushing on the frontiers of science and technology. That can’t happen without heavy government funding for basic research … The Internet and the Global Positioning System (GPS) are only two of the crucial technologies that originated as projects of the U.S. federal government. … Less-developed economies can make lots of progress in living standards just by playing catch-up. 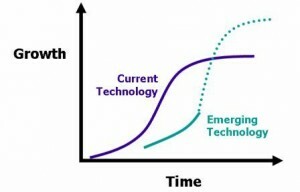 For them, innovation mostly means adopting and adapting existing technologies. … Regulators can be slow to accept new ideas Audi CEO Rupert Stadler says that because of strictly interpreted driving rules in Germany, his company has done all of its work on automatic driving systems in the U.S. where “there is more freedom and liberty to do it.” That’s why sometimes the best thing a government can do to promote innovation is get out of the way, says Bronwyn Hall, a professor emerita of economics at the University of California at Berkeley. What’s In The Innovation Sandwich? Bloomberg Businessweek, Jan 19, 2015. Replace “government” and “economies” in the above with “company” and “companies” and we have a description that applies to most organizations that I’ve worked with. The trick, as always, is to balance what is directed and controlled from on high with what happens down in the trenches. One would argue that we need a little of both and while that logic is sound the normal tendency and structure of an organization is to control and direct. It is too easy to see every solution to any problem as something the “boss” should fix or every innovation something leadership should first review and approve. Instead, sometimes — usually more often than we want — the best thing to do is to simply get out of the way and let people do what makes sense. Now, not everyone will want this much freedom from direction, but we’ll find many pockets of innovation where this is the optimum approach. How well are you doing balancing your control with freedom to innovate?